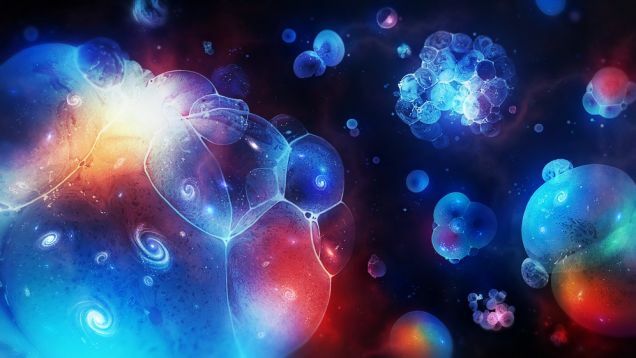 “Many physicists loathe the multiverse hypothesis, deeming it a cop-out of infinite proportions. But as attempts to paint our universe as an inevitable, self-contained structure falter, the multiverse camp is growing. The problem remains how to test the hypothesis. Proponents of the multiverse idea must show that, among the rare universes that support life, ours is statistically typical. The exact dose of vacuum energy, the precise mass of our underweight Higgs boson, and other anomalies must have high odds within the subset of habitable universes. If the properties of this universe still seem atypical even in the habitable subset, then the multiverse explanation fails. But infinity sabotages statistical analysis. In an eternally inflating multiverse, where any bubble that can form does so infinitely many times, how do you measure "typical"? Guth, a professor of physics at the Massachusetts Institute of Technology, resorts to freaks of nature to pose this "measure problem." "In a single universe, cows born with two heads are rarer than cows born with one head," he said. But in an infinitely branching multiverse, "there are an infinite number of one-headed cows and an infinite number of two-headed cows. What happens to the ratio?"